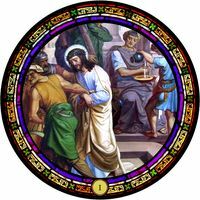 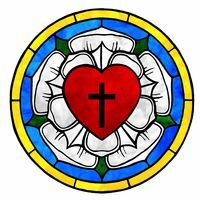 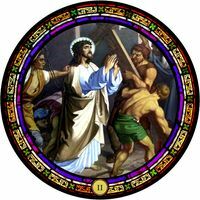 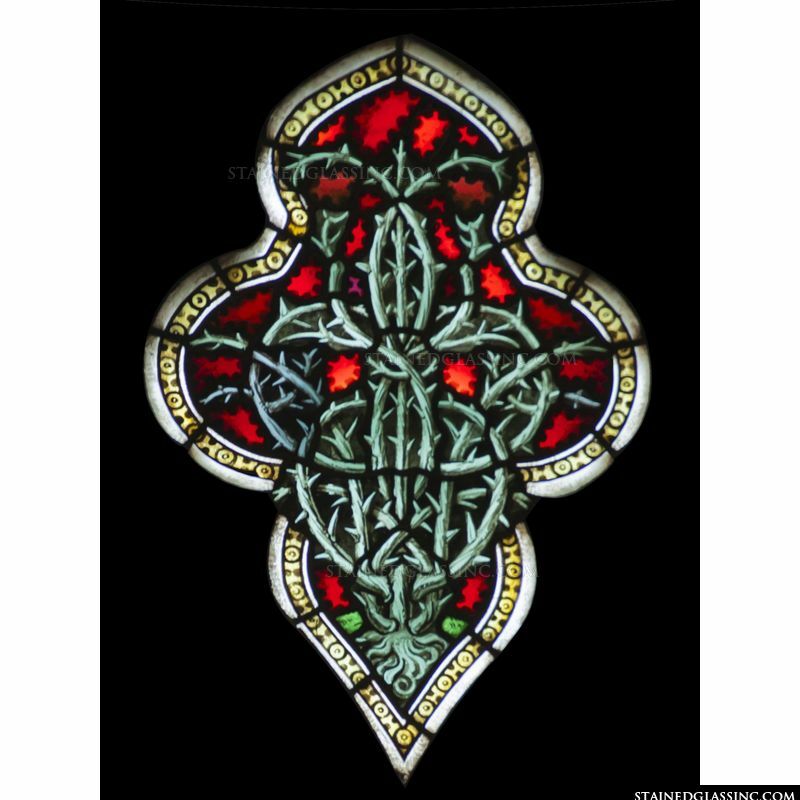 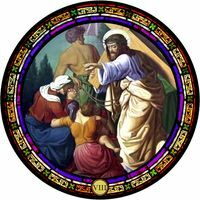 This stunning, eye-catching religous-themed stained glass design features dramatic shades of red, green, and yellow to illustrate the thorn bush imagery throughout this rose window stained glass. 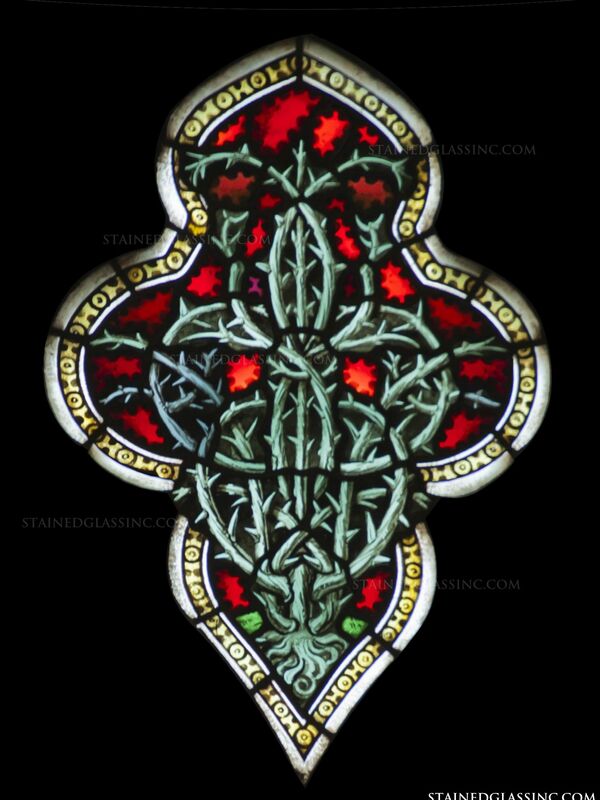 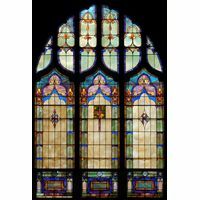 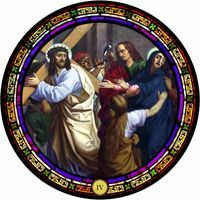 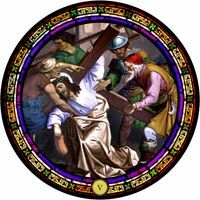 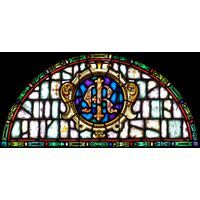 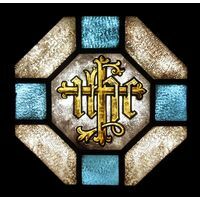 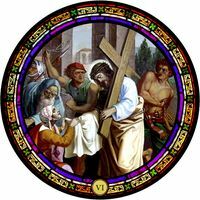 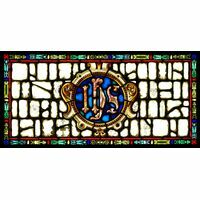 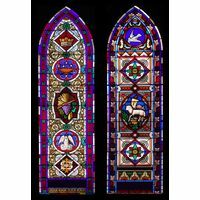 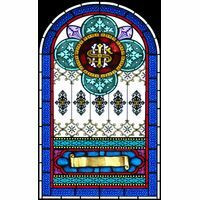 Enjoy this incredible stained glass design in any space, including a prayer or meditation room, chapel, or church room. 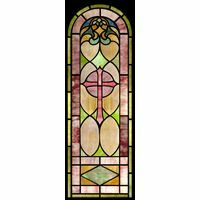 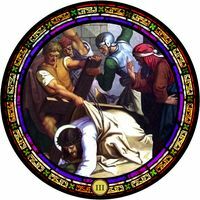 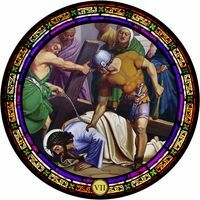 It can be sized to fit any space based on your specifications with lead-free materials and glass polymer that creates a long-lasting stained glass window.